QUEENSLAND Catholics have designed a new app that they hope will give young people easier access to the Bible every day. 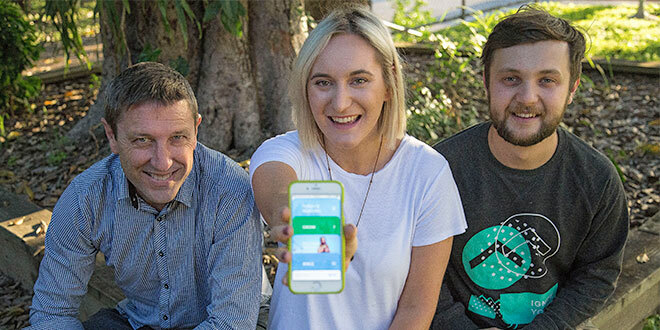 Fuel, the new app designed by Brisbane ministry Ignite Youth, is a “daily companion” for young Catholics around the globe. The app went live on iOS on July 29, and includes the daily readings of the Church, links to Ignite Youth’s faith series Grow, video recordings from the ministry’s various youth events and the first digital version of a new Catholic Bible translation launched last year. The daily readings are paired with reflections from Catholics across Australia, including the Missionaries of God’s Love, Sandhurst diocesan priest Fr Rob Galea and Wollongong diocesan priest Fr Richard Healey. While there are dozens of Catholic apps for praying or maintaining a steady spiritual life, the Ignite Youth team believes this is the first app with a style that will be attractive to millennials. The app’s designer, young Catholic man Liam Desić, said while there were many Catholic apps available on the Apple store, the majority were “utilitarian” or old-fashioned. “If you’re like us and into your faith it doesn’t really matter and you just go down and sit down and pray, but if you’re new to this stuff or wanting an experience of scripture that feels really nice, then it’s just off-putting,” Mr Desić said. Funded by a $20,000 grant from the Catholic Foundation of the Archdiocese of Brisbane, the app is the first to use the digital version of the New Living Translation – Catholic Edition. The translation was commissioned by the Conference of Catholic Bishops India and granted imprimatur by Cardinal Oswald Gracias in 2015. It was first released in 2016 in India by the former apostolic nuncio to India Archbishop Salvatore Pennachio. Ignite Youth director Patrick Keady said when their ministry began, it was clear that young people were influenced by the digital realm. The Fuel app was the solution to help young people access prayer and scripture in a language they understood. “We were thinking if you’re new to this and this is your first time, how can this be accessible and relatable and feel like we’re meeting you where you’re at as much as possible,” Mr Keady said. “We actually chose a translation that’s not what they’re using at Mass, because we’re not thinking that all the people who go to Mass need more apps. Mr Keady said the grant the group received to create the app showed the Brisbane archdiocese valued new ways of reaching young people. At this stage, Fuel is only available on iOS but Mr Keady and Mr Desic are planning to release the app on the Android platform. “The more the word gets out, the more viable we’ll be able to take it to Android,” Mr Keady said. “That would be our ultimate goal. Information on how to apply for the 2017 annual grants program are available on catholicfoundation.org.au.